Tribal moral communities, Haidt has argued, emerge organically when individuals realize their shared interests, their common views, and their overlapping values. These communities, synthesized and energized by their shared moral intuitions, will identify and elevate certain narratives, specific beliefs, and various symbols that define the social and psychological boundaries of the group. In Haidt’s language, tribal moral communities “sacralize” objects and ideas, making them taboo for members to challenge and generating a clarion call to arms if attacked. When embraced, these sacred values bind members of the group together—they offer safety in numbers, psychological and emotional security, and the reassuring knowledge that group members and their sacred values are moral and that outsiders and their values are not. But these values also blind people to their biases and to the inconsistencies in their narratives and beliefs. The benefits of belonging to a tribal moral community therefore come at the cost of intellectual independence—that is, conformity to the moral orthodoxy of the group. Most of us, most of the time, it appears, are happy to accept this trade-off. Haidt’s description of a tribal moral community can be applied to a broad range of groups and, in many ways, it helps us to understand how the groups we belong to normalize our vices and prejudices. Similar bodies of research in the cognitive sciences confirm this. One study after another shows that we are not only blind to our biases but that we will expend substantial cognitive energy to maintain our sacralized values and beliefs. And nobody escapes these human conditions, not even the highly educated or the intellectually gifted. To the contrary, higher levels of education and intelligence usually indicate more refined and motivated cognitive biases, more thoroughly saturated in moral overtones. It’s against this backdrop that Heterodox Academy came into existence, promising to serve as an important corrective to the tribal moral instincts of a group certain of their knowledge and their intellectual superiority. University professors, you see, have all of the trappings of a tribal moral community. They share a common socio-moral identity, they are often oblivious to their own biases, they hold various narratives and beliefs to be sacred, and—as recent events have demonstrated—they will denounce and attack heretics without mercy. If tribal communities create homogenous thinking, Haidt reasoned, then the antidote is heterodox thinking. But I withheld my concerns and awaited the evidence, which duly arrived with the first panel. Three of the four panelists had a history of social protest: one had protested the Iraq war, another had protested the Vietnam war, and a third appeared have built an entire career around protesting. As I sat there, I recall thinking that, while these people were out building their reputations as progressive leaders, guys like me were in the military or doing the fighting. Our backgrounds were clearly very different, but in academia theirs matter much more than mine do. That panel, and those that followed, provided several insights into the current state of higher education. Outside of a few lightly contested points, most panelists acknowledged that higher education is perilously close to losing any remaining credibility. But who is to blame for our problems? Who is to blame for the violent riots and physical attacks on professors? Who shuts down speakers and disinvites them? Who has propelled our great institutions away from truth-seeking? And, perhaps most importantly, why have they done so? Pertinent questions like these were left unexplored. There was plenty of discussion about the changing role of parenting and how this might have produced students less capable of meeting the demands of living independently. And there was discussion about the university’s role in building resilience in students instead of focusing on perceived trauma. Many of the points made were insightful, perhaps even true, but were devoid of empirical evidence. Similarly, there was much discussion about administrators and their role in establishing a climate where civility, free speech, and the open exchange of ideas flourishes. But what we didn’t hear is what is most instructive: we didn’t hear criticism of faculty who ideologically indoctrinate students, and we didn’t hear criticism of specific disciplines, such as women’s studies, which are often at the forefront of shutting down speakers. Nor did we hear criticism of Title IX and the chill it has created, nor did we hear criticism of the leftist monoculture that permeates the academy. To his credit, John McWhorter did describe social justice idolatry as a religion that has negatively impacted higher education, but comments like his were relatively rare. Somehow, these heterodox thinkers forgot to mention that their team has played a critical role in creating or fostering many of the protests, riots, assaults, and general campus lunacy we have witnessed over the past decade or so. Yet there was no mention of the rise of “victims” programs rooted in intersectional grievances. No mention of the impact postmodernism has had on the academy. No mention of biased research areas produced by the ideological dominance of the Left, or the fact that what now counts as research in some fields is so embarrassing that Twitter accounts mock it because faculty can’t or won’t. It’s almost as though faculty didn’t exist on university campuses. Perhaps Haidt’s theory that shared values blind people to their own biases was in full visibility onstage? On the other hand, there was an effort to draw an equivalence between the assault on Charles Murray and another case few knew about that, well, didn’t involve anyone being pursued, stalked through the city, and assaulted. And there were the requisite negative references to President Trump and the calls to limit college speakers to those who had something intellectual to offer. The “provocateurs” of the Right, as they were called, were apparently too much to defend, even for the most ardent supporters of free speech. Similarly, a professor from Yale said that “free speech has been weaponized by the Right” in order to attack higher education and that “we” need to protect the institution. One of Thomas Sowell’s greatest insights is that people select packages of beliefs and only rarely evaluate their beliefs independent of their other beliefs. This is why, for example, the same people who support abortion rights also support gun control. One doesn’t necessarily lead to the other, but within the context of the overall package, disparate views become correlated. So, too, do the explanations for those disparate views. If asked why a person supports gun control and abortion rights, they are likely to answer, “because I’m a progressive.” And it is here, where packages of beliefs merge with canned explanations, that panelists revealed their own biases. Other comments and narratives revealed the liberal assumptions of the panelists, which many in the audience appeared to share. And, to reiterate, although many of the comments were well argued from a position of intellectual authenticity, infrequent disagreements were a matter of degree only as liberals and progressives politely differed with one another. In the closing panel, Haidt mentioned they were aware that of the 28 panelists, only 3 were not left of center. I appreciated his candor and I believe him when he said that Heterodox Academy will move to be more intellectually inclusive in the future. Nevertheless, as the conference drew to a close, I experienced conflicting emotions. At one level, I was impressed by the event, happy to have attended, and proud to be a member of Heterodox Academy. But, on a more personal level, I felt angry and even resentful. Heterodox Academy is the only organization promoting intellectual diversity in the academy and openly supportive of scholars across the political spectrum, including conservatives such as myself. Nevertheless, hardly any of my views, concerns, or experiences were represented or expressed. I suppose that I naïvely expected some degree of intellectual balance would have been sought or that the common narratives of the Left might be challenged. Maybe I was simply too optimistic, but I deeply wanted to attend an event that was truly intellectually diverse—that is, where heterodox thinking was not only encouraged but also demonstrated. These fleeting emotions have since passed and what has emerged in their place is a greater awareness of the problems that inevitably accompany efforts at elevating heterodox thinking within the academy. The numeric imbalances between liberal and conservative faculty are, by any measure, immense. The Left virtually owns the institution and a fair number of professors in the humanities and social sciences view conservatives with open contempt. Indeed, Heterodox Academy has been repeatedly attacked by leftist academics who accuse it of being a shelter for conservative saboteurs whose true intent is to poison the academy with their rancid ideology. Other critics have been even less gracious. This places the leaders of Heterodox Academy in a difficult position. On the one hand, if they want to grow the Academy they will need to reach more faculty. This, in turn, means they will have to appeal to those on the Left—the group most suspicious of or antagonistic to Heterodox Academy’s mission. On the other hand, these efforts may in turn alienate faculty in the center or on the Right. There is no simple answer to this conundrum, but I suspect one strategy will be to reassure academia that Heterodox Academy is not a right-wing organization. It can do this is by strategically elevating leftist faculty and their concerns and temporarily de-emphasizing the role of non-leftist faculty. In the political world that is higher education, the necessity for trade-offs will always hamper our best intentions. As Heterodox Academy moves forward, it will become ever more important to foster relationships between academics of diverse backgrounds and politics. It will be these relationships that will eventually alter the climate of intolerance that has swept across our institutions and it will be these relationships that erode the bonds that form the backbone of the professorial tribal moral community. Trade-offs will have to be made and these trade-offs will leave Heterodox Academy open to criticism from both sides. If, however, we reduce Heterodox Academy to a set of purity tests or allow our tribal instincts to dominate our motives, then the great experiment will fail and higher education will be worse off. I, for one, remain committed to Heterodox Academy and believe wholeheartedly in its mission. Today, however, I’m also more aware that it’s difficult to be heterodox, even for Heterodox Academy. Thanks for putting my heart and mind into intelligent words. As a student that is a NRA member at one of the nation’s most liberal loony bins, I’m frequently silent out of fear of retaliation. I can’t imagine how that is for you in your daily work where the majority of your peers are coming at things from such a vastly different world view. Same song with different lyrics bud. William James proffered pragmatism and coined the term. There exists a mathematical equation somewhere in the ether that is devoid of variables flavoured by the religious (shudder! ), ideological or of tribal bent. The U.S. was founded by Deists and Masons who preferred solutions and problem solving to cutting one’s nose off to spite the face in the name of pep rally politics of the ‘like minded’. I blame this herd mentality on the dumbing down of the ‘volk’ who get their fix on passive, cartoon media and the cult of personality… (Nixon-Kennedy debates.) Few people actually watched the Lincoln/Douglas debates, but newspapers carried them verbatim and Abe’s ugly mug had no real bearing on his arguments. The ability for a ‘reasonable man’ to again gain ascendence in a sea of ‘selfie’ agrindizment, in the Trump era of T.V. narcissism, is a ship that has left the dock. Two people meet in the pub. They open conversation with tuts and knowing winks about the day’s political shenanigans and headlines. Relieved that each of their catch-phrases agree with the others’, they can relax knowing that no more thinking or discussion is required, and can both get on with the real business of drinking and talking sport. This scenario is repeated day-in-day-out all over the World in cafes, schools, workplaces etc. ; it’s a type of Mason’s hand-shake, or friend/foe password ritual. As Kahneman makes clear – “slow thinking” is too difficult for most of us, it takes too much energy, and delays the beer-drinking and sports-talking. The chance of heterodox thinking spreading to the ‘volk’ is about as likely as politicians eschewing emotions and relying only on evidence to promote their policies. All too true Steve. The ‘age of reason’ lies somewhere in that plastic vortex in the Pacific or in the ‘stacks’ of the musty realms of forgotten library niches. Hope and prayer are the concussed cousins of desperation and I ascribe to neither. To save the hamlet… first you must destroy it. Thanks for attending the Open Mind Conference and posting this essay, Dr Wright. If this is the first of many public discussions for HxA, and I think it was, it may be premature to feel some of the stronger feelings you had. New things take a while to shake out and missteps are part of the process. I share some of the concerns you mentioned. For example, Dr Alice Dreger parroted the free-speech opponents’ line about restricting on-campus speech by outsiders to those who are suitably authoritative. She wouldn’t allow celebrity speakers such as Milo Yiannopoulos and Ben Shapiro on campus. So, that, to my mind, is where the waste of money comes in. So, as my son was applying to University of Chicago and there was the whole question of Steve Bannon coming to campus, a woman who is a friend of mine actually said to me, “Well, do you really want your son going to a place where Steve Bannon might speak?” To which my response was, “I want Steven Bannon to expose himself to my son.” And then I realized that didn’t sound right. Some may say Milo and Bannon aren’t the same, to which I reply Milo and the KC and the Sunshine Band aren’t the same, yet entertainers are permitted on campus. A politically oriented talk needn’t be serious and turgid, it may be entertaining too, even exclusively so. And some musical acts are overtly political, even agitating for violence. Speech comes in wondrous diversity to be embraced and celebrated, ain’t that right? Assuming HxA’s mission statement is to permit unfettered access, I have to wonder why Dr Dreger would join a speech rights organisation. Yes, she had her own run in with uni admin, one which I suppose colours her thinking, but it seems to me she’s using the HxA for her own myopic agenda that contravenes its larger intent and purpose. She needs to get out of her own noggin and see the bigger picture. Sometimes these big-tent “every academic is welcome” movements can be exceedingly welcoming and permissive. To my mind, you have must have clear foundational principles that are enforced, and, yes, some will be excluded. Tough. Yes, this means there ought to be a purity test. Call it Hall’s Friends of Voltaire test, if you like. If Dreger were to say “I dislike outsiders like Shapiro being given an on-campus platform, but I still support it because free speech means people have the right to hear things too,” she meets the purity test. It’s a pretty low bar, one I don’t see a problem holding all members to. Can’t meet it? Go elsewhere. If her problem is exclusively the cost of security, which she didn’t say, well she ought to think of a few ways to address that problem. Fine those storming the stage, pulling fire alarms, and blocking doors; use the funds raised for future security. Expel the ringleaders and prosecute the violence makers, which ought to dissuade others. If need be, set aside a portion of the students’ activities fund, which is used by all groups, to pay for security. Students whose clubs each lost 10% of their funding year-on-year tend to get vocal with those students who caused the need for increased security. Peer pressure is the best pressure. There’s always the risk of entryism by those who want to subvert the group’s goals, and the progressive long marchers know well the way to do so is from the inside where definitions are defined and policies are policed. This is not to say Dr Dreger is an entryist, but she played one on stage. When the opposition becomes controlled opposition this is especially damaging. The organisation degrades into suspicion and in-fighting, it’s no longer able to perform its role, and true believers exit, often concluding to never take part again. The well is poisoned. “Free-speech academics call for no-platforming Shapiro” is a Guardian headline I don’t want to see. I agree and told people at the conference that as a first meeting, everything was well done. I have confidence that HxA organizers will evolve the programming over time so I wanted to make sure my criticisms were balanced against my support for HxA. As for the free speech issues I discussed, I’m pretty much a free speech absolutist but I’m willing to engage those who disagree in good faith. There is a narrative in higher education that is gaining traction that campus speakers should only be allowed if they offer something intellectual. I think this is wrongheaded and deeply troubling but I would rather have the debate than simply exclude the other side. Dr. Dreger, for example, is very bright and capable and would be open to the discussion. You can’t be a nearly “absolutist”, can you? Looking at the photo atop this article I thought I recognised Dr Angus Johnston, but I couldn’t recall where. It was a Spiked debate – I’m a fan of Brendan O’Neill, except for the hat. He believes that he can somehow tailor his class to the unique background of each student (which must take a helluva long time to get each student’s autobiography). He mentions he would adjust lecturing about Emmett Till if he knows one of the students had a family member killed in similar circumstances. Yet, classes are often comprised of more than a handful of students. Even then, you may have one student who was victimised by police and other student who was victimised in a racialised assault by racial minorities and was helped by police. How will Johnston balance all of these tensions of experience and perception? He never says. Here’s a sample of his tweets on free speech. Historically free speech advocacy has been on behalf of those whose speech was being suppressed. Protestors of Nazis do not have their speech suppressed, unless you deem heckling and stage storming aspects of free speech. Free speech warrior wants the government to punish hecklers. Here he supports the heckler’s veto. This is not a tactic supported by free speech advocates. Protest outside. Ask your questions inside during Q&A. But don’t heckle, storm the stage, or pull fire alarms. “Free speech includes hearing X” is an incoherent construction—it literally has no meaning. But intoning it allows you to obscure your personal preferences with a veneer of principle. Speech involves hearing and perhaps even listening. It is utterly coherent. Why are the protestors heckling, storming the stage, and pulling fire alarms? They’re not there to rebut the speaker’s opinions. They don’t want the audience to listen to the speaker’s words. If you read the tweets, Schapp was at the White House Correspondents’ Dinner and decided to leave because he disliked the course it was taking. He didn’t heckle. He didn’t storm the stage or unplug the microphone. He didn’t pull the fire alarm. He didn’t prevent others from listening to the speakers. Schapp left, which is a reasonable and adult behaviour. Searching Johnston’s tweets I could not find one mention by him of his participation at the Open Mind Conference or the Heterodox Academy – I’m happy to be corrected. He is a tireless tweeter about everything he’s doing, so this omission from his timeline is peculiar. It’s as if he doesn’t want to promote the HxA to his followers. We may only speculate why this is, but his comments I provided above suggest strongly to me he does not share the HxA’s goals. I see someone such as Johnston is an entryist to the HxA. As a “historian and advocate of American student activism” (of the left) he knows well the tactics of subversion, which are to disrupt and to prevent it from achieving its goals. This is why a minimal purity test, such as the one I recommended, is needed. My feeling around the overrepresentation of highly educated people: it takes serious job security and/or independent wealth to join this club right now. Who highly disproportionately has these things? Ivy League grads and professors with tenure. So that’s who you’re seeing at these things right now. If the people at Heterodox Academy do their jobs and make dissenting opinions acceptable in society again, the rest of us can join in. Also, Title IX is complete trash and I would love to see a thorough takedown of all the terrible effects it has had on campuses. My take, as one a graduate school degree and as a not very ideological pragmatic centrist, is that academia is infested with self-perpetuating, career-driven sophistry. They repackage and resell pretty straightforward ideas with each generation, all for tenure and to advance to full professorships. Sophistry is the equivalent to the Wizard of Oz: a grand public image built with smoke, mirrors, and basic ideas, but with a simple little person hiding behind a curtain. One must see the sophistry first hand to truly understand the depth of the corruption, as discipline-oriented language and technical skills are explicitly configured to forestall outside criticism. Now, I have quite solid skills with abstract concepts and can easily hold my own in intellectual discussions. But, I have limited tolerance for sophistry; I favor effective action over endless debate when the underlying facts and methods clearly limit analytical options. So, I moved on from this culture. What caused the state of affairs: (1) publish-or-perish tenure-oriented career paths, (2) the best students are often extremely timid and avoid risks or leaving the safety of schools — they only know to rely on papa government to survive, (3) high status jobs usually require an advanced education regardless of ideology, and (4) the loose student loan system allows poor to mediocre sophistic professors to fool naive students about the limited value of their education and be paid to do so. Note that firm conservatives have little patience for academic culture at all, as they often see answers as given by God, black-or-white, and not worthy of debate. For this reason I never expect a 50/50 distribution within academia. However, by limiting reckless over-spending on sophistry and overtly ideological policies, the balance might be 70/30 or 60/40. This was in fact the state of affairs prior to the civil rights movement/Vietnam War (and the explicit pushing of conservatives out), and growth of the student loan system (1960s to 1970s). Last time I looked, the president of the USA was Donald Trump, and the power and influence of conservatives and conservative opinion in American society was higher than it’s been for generations. And will increasingly be so, given all the conservative appointments that he’s making to this and that body. So what’s your actual problem? What do American conservatives have to moan about? Your universities may be dominated by progressives, but since you believe that those institutions are completely out of touch with normal Americans, and therefore have no real influence or relevance, why should you care? And the universities are nonetheless still providing you with the practical science required by technology and medicine – what else could you possibly need from them? John Wright expresses a desire for “truth”, but since, as a conservative, he believes “truth” is something he’s already attained – it’s all there in the wisdom of tradition – why should he care that the universities are off an a fool’s errand, searching for truth via new research and new thinking? Let them play their games – ordinary conservative Americans don’t need that highfalutin nonsense. They have tradition, they have their intuition and they have their Bibles. That’s all the “truth” that most conservatives require. Being out of touch with normal Americans has nothing to do with influence or relevance. Left-wing ideology completely dominates big media, Hollywood, academia, and Silicon valley. What do conservatives have to “moan about”? Perhaps if you didn’t ask the question rhetorically and actually gave it some thought, you would find an answer rather easily. Students with conservative viewpoints are vilified in universities and have almost no prospect of a future in academia if they are open about their views, even if they are intelligent and competent. Read about the Lindsay Shepherd affair if you aren’t convinced. The left-wingers then move from college into the “real” world to continue their good work in journalism, Hollywood and Silicon Valley. CNN, MSNBC, ABC, and the NYT have no issue with blatantly lying and misrepresenting facts to further their agenda, regardless of the harm it does to American people by spreading misinformation and creating divisiveness (something they constantly accuse Trump of doing). These people have no issue praising Kim Jong Un’s sister, who also resides over the brutal dictatorship in NK, for “winning a diplomatic gold” by having good skin or something. Yet they whine about authoritarian tendencies of their country’s leader as they run negative coverage on him 24 hours a day. Conservatives are censored on large social media platforms like Youtube, Facebook and Twitter through opaque, hyper-partisan policies on what “appropriate” content is. You can get banned on Facebook for sharing threatening messages sent to you by a radical Muslim while the Muslim spews his vitriol with impunity. If you think the combined effect of all this and much more has “no real influence or relevance”, you might as well be honest and just say what you really mean, which is that you don’t actually care if certain people are being treated unfairly as long as you disagree with them. Funny that you should criticize conservatives for thinking with a limited set of truths when you practice it yourself. In what ways has popular culture (Hollywood, TV, pop music etc) been “badly influenced” by stuff going on in left-wing campuses? If anything, popular culture still tends to be criticised by most mainstream critics for being too stereotypically sexist, racist, mindlessly violent etc. There has been some movement towards a more civilised and progressive popular culture but it’s fairly superficial. As for American campuses, from reading articles like the “Concordia” one here, the impression I get is not that they are “too progressive”, but that they’re simply “too stupid”. Outside of pure science departments, the intellectual standard of US universities appears to often be shockingly low, and I’d suggest that would still be the case (or more likely, worse) if the conservative right were in the ascendancy in these institutions. But that’s not likely to happen. There will probably be a swing of the pendulum away from poorly defended orthodoxies, as we seem to be currently witnessing. But I expect most intellectuals to remain progressive-minded, for the simple reason that those wanting to improve the world tend to have more need of rational, disciplined and enquiring thought (when asking what needs improving, in what ways, why?) than those wanting things to stay the same, or return to the ways of the past. And that returns us to the question I’ve been asking – why do conservatives even need their own intellectuals? The answer appears to be: “to counter the influence of progressive intellectuals”, i.e., the conservatives themselves have nothing innovative to offer, they just don’t like what the progressives are dishing up. I guess that’s why they call themselves “conservatives”. I am not sure you can call yourself open minded or progressive if you believe that your side of the table is the only one that has innovative intellectuallism. But pardom me. It is totally open minded to write off half of the American as having nothing to offer. Intro, then conclusions and recommendations of my thoughts on the conference are below. I attended the Open Mind Conference hosted by Heterodox Academy (HxA), whose mission is “to improve the quality of research and education in universities by increasing viewpoint diversity, mutual understanding, and constructive disagreement.” HxA is my favorite of all the groups that are trying to bridge the ideological divide and bring some amount of civility back to our culture. I want desperately for it to succeed. If it fails there’s nothing else that I see that could take its place. So it was especially disconcerting for me to come away from the conference feeling deeply disappointed. Since then I’ve been struggling to understand and then explain why I have that feeling. After several attempts to write this essay I think I’ve finally figured it out. First I’ll describe how and why I think HxA went off the rails, then I’ll describe how I think it can get back on. I saw four distinctly different types of bias at the conference, resulting from two main causes. 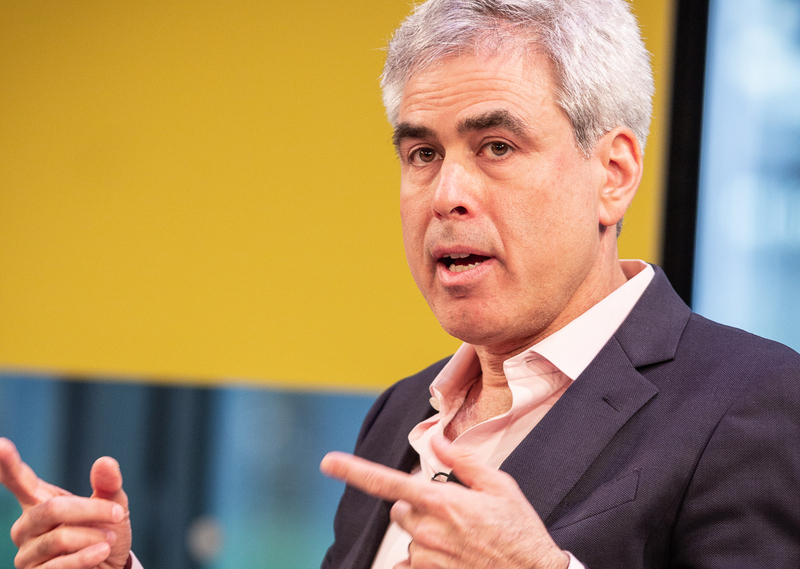 Cause number one is that HxA suffers from the malady Jonathan Haidt described in his book The Righteous Mind: Why Good People Are Divided by Politics and Religion as “The Left’s Blind Spot.” Cause number two is that missing from the conference was the virtue of humility. The four biases that resulted from these causes were 1) anti-conservatism, 2) pro-WEIRD rationalist style of thought, 3) pro-academic, and 4) pro-intellectual. In this essay I describe what I mean by each of those causes and biases, using examples from the conference. At the end I offer four recommendations on how to move forward from here. If conservatism were a house then Heterodox Academy, and beyond that social science, and beyond that academia, might be able to describe some of the facts about it that they see from the outside looking in, but they have little idea what it is like to live inside it, and therefore little grasp of what they’re doing that drives conservatives away. Effective solutions to wicked problems require accurate diagnoses of their root causes. So far what I’ve seen from Heterodox Academy is lots of solving but not much diagnosing. Viewpoint diversity is its hammer and every problem is a nail. The good news is that Heterodox Academy seems to be coming around to the idea that viewpoint diversity alone might be insufficient to solve academia’s problems. It recently asked in its blog What Are the Limits of Viewpoint Diversity? I suggest that those limits have a lot to do with the fact that it’s not WHAT people think that divide them, it’s HOW they think. Improving viewpoint diversity alone doesn’t come close to bridging that gap. The problem is much more pervasive and far more insidious than HxA seems to realize. Ryan Fasio recently wrote in Quillette that “Almost all meaningful human interactions, relationships, and achievements occur outside of politics – in the market economy and in civil society. Family, friendship, work, religion, charity, community, and culture are where human happiness are forged.” He’s talking about social capital. But because of the left’s blind spot, it’s lack of humility, it’s WEIRD style of thought, its intellectualism, and its academic bias, those are the very things it is driving away, and conservatives along with them. An astute reader might have noticed that many of the sources I link to in this essay come from Heterodox Academy or its members. It seems the group has forgotten the findings and conclusions of some of its own work. Would that it had put its own lessons to use. If Heterodox Academy really wants to achieve its goals then it’s going to have to a better job of diagnosing what’s really going on. It’s going to have to do whatever it can get inside the house of conservatism and see the world from that perspective. It’s going to have to do a lot less talking and a lot more listening. Based on these observations, I offer four recommendations that I think might help HxA move closer to its goals. First, the theme of the next Open Mind Conference should be “A Day Of Listening.” The day’s mission should be for HxA to gain a deeper understanding of the people whose viewpoints are missing from academia, and how and why academia alienates those people and drives them away. The approach of the day should be that of active listening, modeled after YouTuber @BenjamindABoyce. Or maybe he should M.C. Second, the ratio of liberal and conservative panelists, which was 25 to 3 at this conference, should be reversed. As HxA likes to say, quoting John Stuart Mill, “He who knows only his own side of the case knows little of that.” Third, a significant proportion of the panelists should be from outside academia. It seems counterintuitive to believe, as HxA apparently does, that if the problem is that everybody within academia thinks the same way, then the solution is going to come from those people. HxA needs outside help. Fourth, the process for achieving the mission of the day should be for HxA members to let go of for and against, and commit to actively listening to the panelists for the purpose of gaining an intuitive grasp of where they’re coming from. Dialogue is critical to the HxA process and I have no doubt HxA members would be willing participants. I’ve thought long and hard about this. Part of the problem is that many kids come to college seeking out the most radical ideas they can wrap their little brains around. Conservative ideas don’t satisfy this craving because they have likely heard dumbed down versions before and haven’t been forced to think through alternatives. On the other hand there are the intellectually lazy an attractive assumptions of postmodernism that teach you such radical things as you don’t need to actually learn anything because all forms of knowledge are oppressive. This is appealing to the small brain of a freshman for two reasons: it means they don’t have to engage in intellectual inquiry and they can be ‘radical’ at the same time. “If conservatism were a house then Heterodox Academy, and beyond that social science, and beyond that academia, might be able to describe some of the facts about it that they see from the outside looking in, but they have little idea what it is like to live inside it, and therefore little grasp of what they’re doing that drives conservatives away. Bravo! I do not want to be a downer re:HxA, but how can the neighbor’s step-kids move into our house that my parents own. They cannot, and so how can non-orthodox advocates move into the orthodoxy’s homes. They cannot. Haidt must know this deep down. He cannot fight the powers that be, so he is involved in persuading these powers that they should share power on an equitable basis with the non-orthodox. And what is the incentive for the orthodox to do this? Threats? What kind of threats, a walkout? riots? a hunger strike? The non-orthodox have almost no power, or carrots or sticks. But the world is closing in on the real powers that the university used to monopolize, the power to inform the world with new and old knowledge, and the power to bestow values on youth. And some of these emerging companies and organizations will be less corrupt than the current educators, and therein lies genuine human progress. This is why, more than ever, we need to train people on the general dangers of carrying around beliefs. Being free from belief is a fundamental tenant of authentic religious and spiritual inquiry; not the idealogical vomiting that religion has come to mean in the public sphere. Learning to spot your own bias is a key aspect of intelligent living generally. It is NOT Left or Right. Such things are false dualities, as lacking in validity as theist and atheist. To be heterodox is to become skilled at observing without evaluation, acting without doership, and being inclusive is fundamental. This is a bit rosy a representation. In my American Givernment classes I encourage the development of a well thought out ideology. Empirical evidence suggests that ideology is a rare creature that requires both extensive political knowledge and reflection. Belief is an inescapable part of the human condition. If you fail to believe, you fail to be human. Seems a bit harsh of the author and/or commenters above to criticise the meeting for having too many centre-left academic western rationalist types. Those are exactly the sort of people who you would expect to care most about viewpoint diversity. That’s a common assumption but not exactly true in an academic setting. Campus politics create unique pressures to reduce intellectual diversity, not increase it. John, you are spot on. I’m a political science PhD and you MUST go left of center if you want to get an article published. This is simple enough in a field that still respects quantitative evidence, but still discouraging because many of the important questions go unanswered or assumed. I say it’s easy enough because one can take any statistical result and interpret it in a manner that confirms to their ideology. Statistics can answer some questions. The forum tended to be dominated by intellectuals and educators because they make up the majority of academia. You really cannot get around that fact of the context is sustained intellectual discourse, but you could try to be more expansive in including panelists. I think really healthy topics are bringing folks,together to talk about how,they disagree in conversation; in other words could Jewish Voice of Peace and AIPAC people discuss their differences without discrediting the legitimacy of the others to think and advocate. Too many conversations these day devolve into characterizations and as hominem attacks. A campaign for the promotion of Synthetic Thinking! As somebody already pointed out, the academy lives in a reality where the everyday problems of real world people do not rise above the event horizon. The elites have the privilege to choose their town or suburb, their hobbies and their friends, their holiday spots and even their morals. This is what Charles Murray’s book “Coming Apart” is about, the class differences that are polarizing the US. Race and gender are minor factors when compared to the differences money can make, especially if it is old and well decanted. We are cheering at a Glass Bead Game here. Its significance is very limited. Well put, Dr. Wright. I’m especially glad you brought up the lack of public university faculty on the panel. This is bizarre; after all, public universities are where most of the students are, and where most scientific research (and some not-so-scientific work) emanates from. While HA is obviously centered in NYC, I’d like to see it branch out a bit both geographically and intellectually – and those two might be related. On the plus side, Haidt seems like the kind of fellow who understands this, so maybe we just need to be patient. A slow start, granted, but a slow start does not constitute failure. Why would it be surprising that most attendees of the initial HxA meeting were left of center when HxA perforce draws from a population of college and university faculty that is overwhelmingly left of center? Isn’t it a hopeful sign that some number of that politically orthodox population want to explore developing a more intellectually heterodox atmosphere? Many of the things mentioned here are also maladies in the intellectual house organs of the conservative movement. I used to wonder, looking at the string of staffers at National Review, if that magazine was aware that colleges other than Harvard, Yale, Columbia, and Princeton even existed. Much of this is reflexive defensiveness on the part of such organizations, thinking that their ideas will be more respected by their ideological opponents if it comes with Dartmouth or Brown in the byline. One can argue about whether this strategy actually gained them any street cred with the left. What can’t be disputed is that all of the conservative movement’s institutions were populated by those who really had little or no connection to their most natural base of support. Hence the rise of Trump and the conservative movement’s bewildered disbelief in response. Heterodox Academy is doing important work, but if it similarly cuts itself off from its natural base of support, which is be the great mass of intelligent and well-educated students, faculty, and alumni at less prestigious universities that are also less ideologically possessed, something similar may happen, to the detriment of us all. This might be persuasive if you were talking about science (and if science was genuinely under threat from too much ideology) but apparently you’re talking about the humanities, in which ideology is not just ubiquitous but actually necessary and valuable. It can be argued that we need a more critical approach to ideological assumptions and arguments, but we can’t do without ideology. Indeed it’s clear that the writer himself is arguing strongly for more, not less ideology – just a more diverse variety of it. Maybe there just aren’t that many conservative intellectuals. If one looks at the free-for-all venue provided by the internet, many conservative voices tend to be openly anti-intellectual. And this shouldn’t surprise us. Far from requiring an intellectual defence, conservatism thrives in the absence of rationally critical thought. Conservatives have fewer intellectuals because they simply don’t need them.